One of the nice things about Christmas in New Zealand is that we get to experience it in the summer, when things are pretty kicking here. Sure, we aren’t infested with Snowy Owls that clog up our Facebook newsfeeds (actually, the wretched things still do) and airports, but we do have lots going on. Of course, being Christmas it is a time for travel, which means I often miss the season visiting family in Australia or the UK, or, as is happening this year, Borneo. Since I started this blog I’ve wanted to do a post on pohutukawa, or New Zealand Christmas tree, and every Christmas I have been away. Anyway, this is a long and roundabout way of saying I won’t be around for the next few weeks, and will instead be checking out such mouthwatering locations as Danum Valley, Mt Kinabalu and Mantanani Island. So you’ll have to wait till next year for me to post more rambling and incoherent thoughts about hunting or how I managed to not see a single pitta in Borneo. That said, I have managed to get out quite a lot recently, practicing with my new camera and trying to see a Bronze Shining Cuckoo. 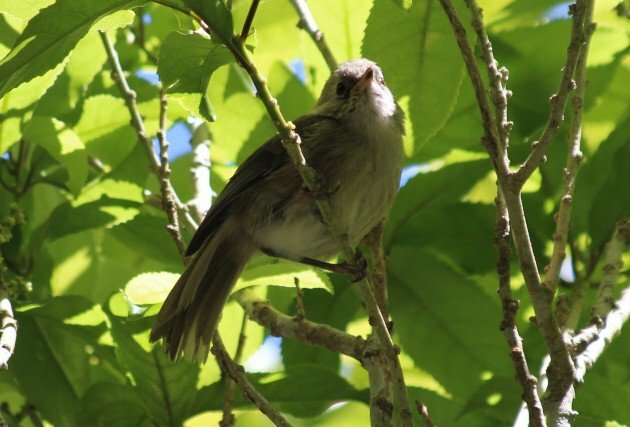 I am hearing these miserable little migrants everywhere, but haven’t been able to locate one this season. But my time out and about has been productive, and shows the productive nature of the Austral spring and summer. 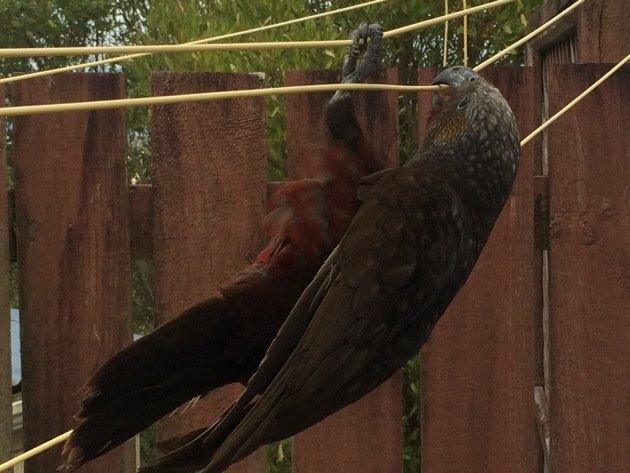 This young Kaka found that clothes lines are tricker to navigate than branches! 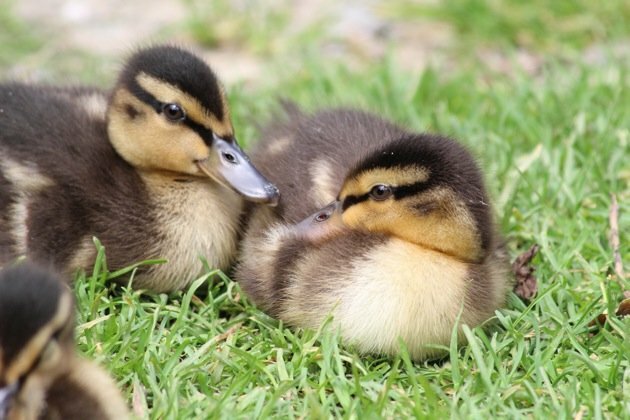 These Grey Duck Mallard Hybrids may represent the impending extinction of the Grey Duck in New Zealand, but they are cute! 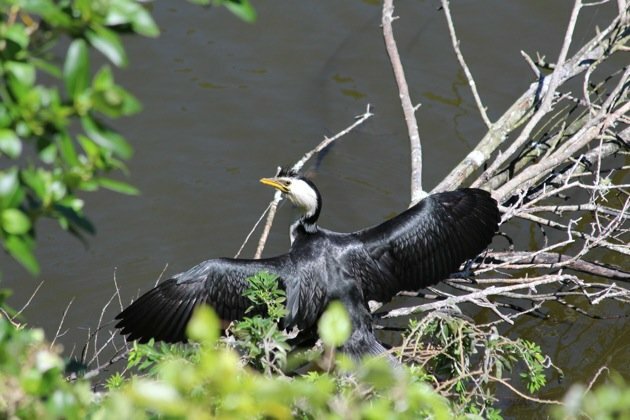 It’s been a good year for shags in Karori Wildlife Sanctuary. 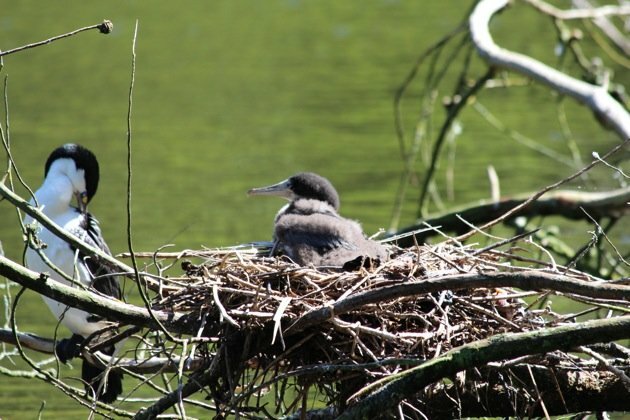 These are Australian Pied Shags. 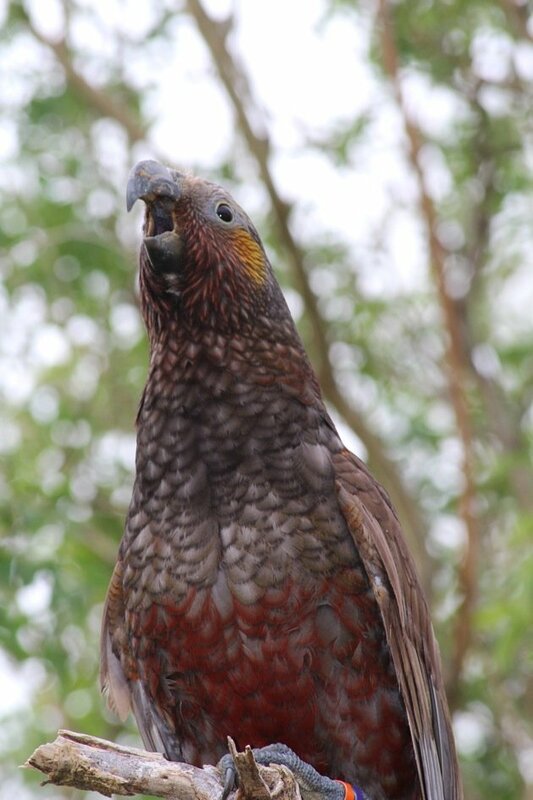 This Kaka had something to say in my garden. 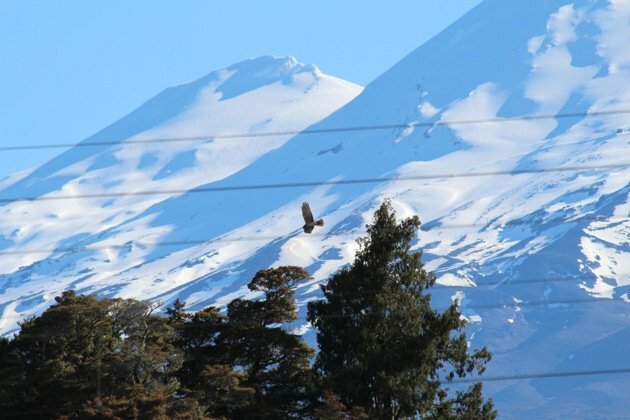 This Australasian Harrier was hunting in front of Mt Ruhapehu. It’s also the time of year Tui get covered in flax pollen. 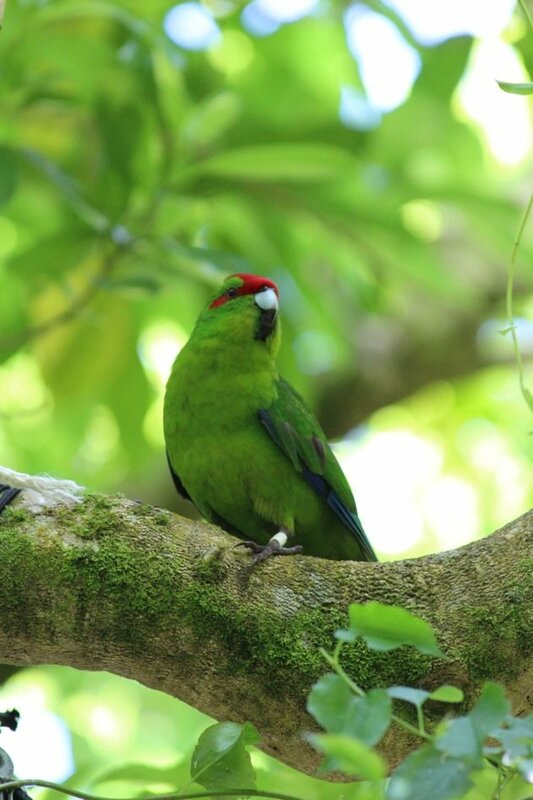 Red-crowned Parakeets are rather festive in their plumage, don’t you agree? 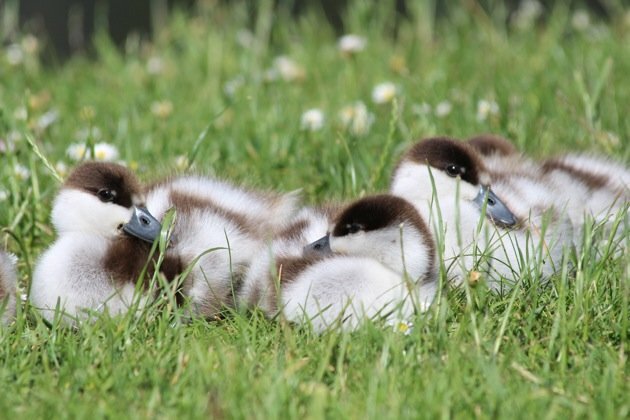 A gaggle of Paradise Shelducklings. 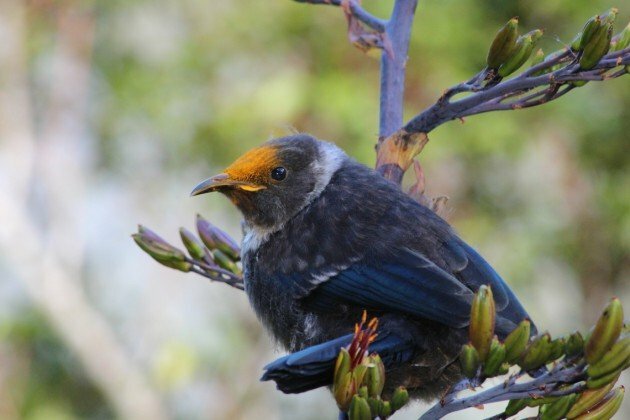 Baby Tui are as messy an eater as their parents. Another shag, this time a Little Pied Shag. Finally one last baby, a Whitehead chick. And that’s it for the year from me. Have a great Christmas and a fantastic New Year. I certainly plan on doing so! Good Luck with the pittas! Have a great holiday in Borneo and your new camera takes great photos! Duncan, do you mean to say I am only third in our little year list competition in spite of having a list of around 550? Have fun on Borneo, and good luck with not seeing a pitta. And don’t be too disappointed if you see one. I’ve heard a Hooded in south Kalimantan this year, my first pitta encounter ever, so I was still thrilled! Love those New Zealand species! Family in Borneo- Duncan, you are one lucky duck. Can’t wait to hear about that experience! 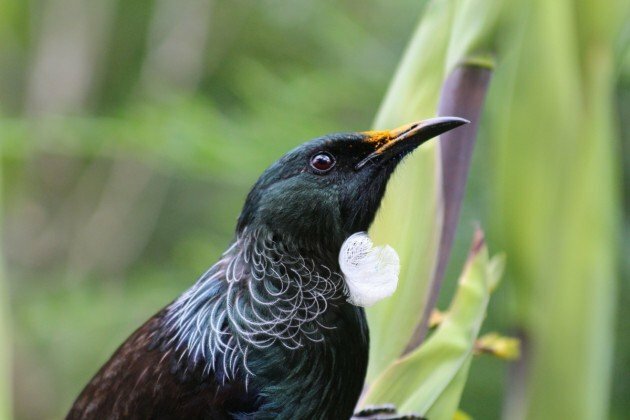 Beautiful photos, especially the Tui and Kaka!